Shapery Enterprises is an operating company for the various corporations, partnerships and limited liability companies operated thereunder. Shapery Enterprises is, or has been, involved in the ownership, design, and development of high-rise office buildings, high-rise hotels, commercial centers and raw land. 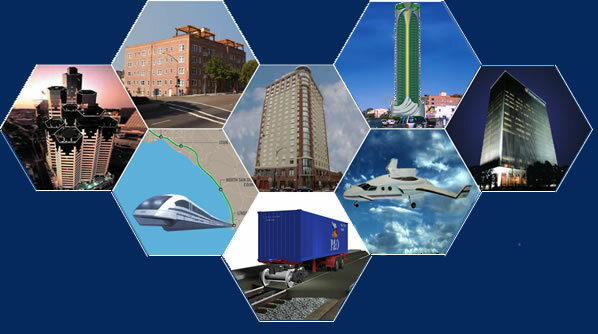 Shapery Enterprises is also designing, developing, and implementing technological advances in transportation including vertical take-off aircraft, electric zero emissions conversion and upgrade of existing freight and passenger rail systems, non-rail zero emissions roadway passenger and freight systems and port zero emissions container moving systems with LSM/LIM technology and high-speed magnetic levitation train systems. Copyright 2009- Shapery Enterprises; All rights reserved.